Let's take a moment and put one thing to rest-- frustrating apostrophes. 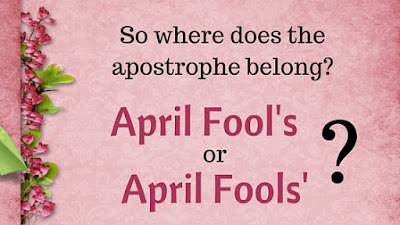 Where does the apostrophe in April Fool's Day (as spelled in both of the newspaper articles from 1892 and 1896, below) belong? Before or after the s? 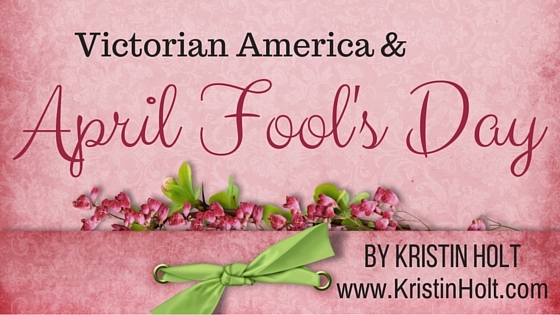 Thus... today April Fools' Day is spelled for all the fools out there, and in Victorian American life, they pretty much consistently (from all my research) elected to spell it: April Fool's Day. 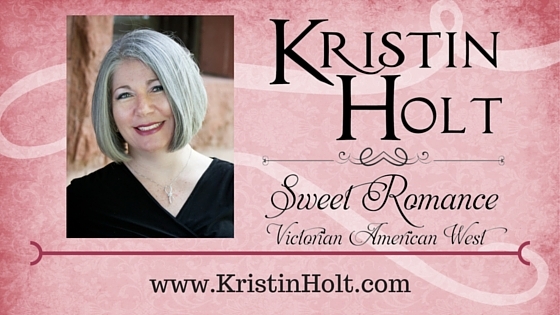 I'll stick with the Victorian American spelling ('s) as that's my focus. Let's get one more pesky little detail out of the way. Victorian-era American newspapers often spelled various words differently than we do today, used punctuation differently, and often did not capitalize words we do now. The abbreviation "sic" or [sic] stands for "spelled in context"-- okay, I admit it-- I made that up. It actually is a Latin adverb for "thus was it written" but that's too hard to remember. Essentially "spelled in context" means it appears precisely as it does in the original source (and hence my protection from pointing fingers and chuckles because readers think I can't spell). April Fools' Day has long been a day for pranksters, troublemakers, and those simply looking for a bit of diversion. Tall tales evoke wide-eyed belief until the punch line, "April Fools!" I'm forever fascinated by what our Victorian American ancestors saw as the standard for recognizing days like April 1st and celebrating various significant holidays throughout the year. This newspaper article is clipped from The Kearney Daily Hub, of Kearney, Nebraska, dated 28 May, 1892. The Kearney Daily Hub, Kearney, Nebraska, 28 May, 1892. In Honolulu, Hawaii, the 9 July, 1896 edition of Evening Bulletin reported quite an April Fool's hoax regarding discovery of a race of pygmies. The following article appeared in the Boston Post, in Boston, Massachusetts, on 1 April, 1833. Note the wry humor, the use of the familiar to poke fun at other country's traditions and celebrations-- which to Victorian Americans would appear highly scandalous (without pants?). ** [added because I couldn't stand not to] definition of corruscations-- or at least the most similarly spelled modern word: coruscation: A sudden gleam or flash of light; a striking display of brilliance or wit. Why do you suppose the author of this 1833 newspaper article (tradition/practice holds newspaper article writers were never identified by name) spelled "Hindoos" phonetically instead of properly, Hindus? early. Technically five years before the Victorian Era began (Queen Victoria's coronation). 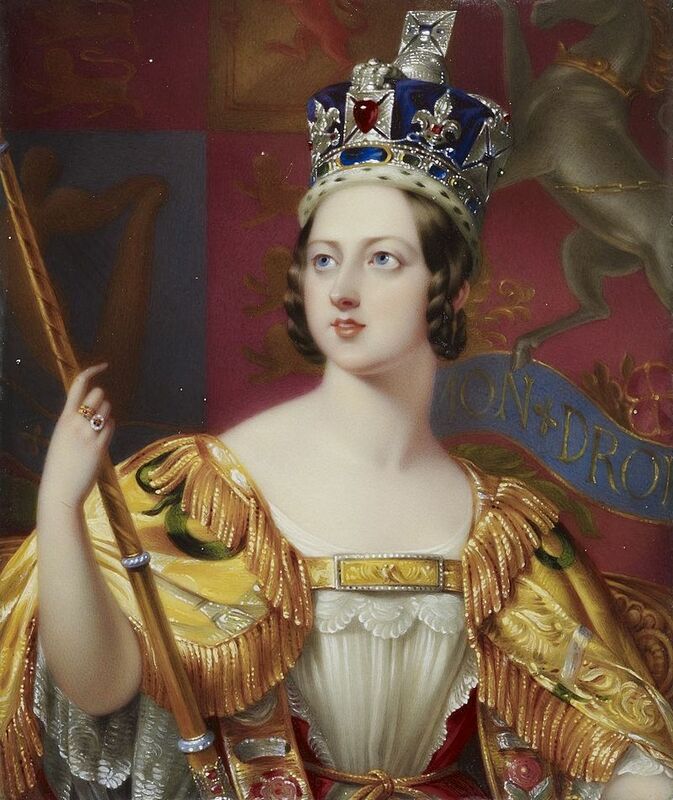 Queen Victoria's Coronation in 1838. Public Domain. 1833 predates the Victorian Era (as just said in a few more words)... but... as far as my newspapers.com access currently offers (though not every single newspaper from the history of the United States), 17 years earlier, in 1816, the earliest documented (per my current access-- who knows? 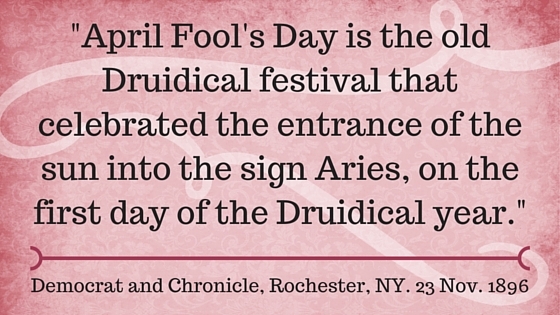 this will likely change) use of "April fools day" appeared in The Maryland Gazette, Annapolis, Maryland, 11 July, 1816. Nothing more than a fun bit of trivia, given we know the French used the phrase/term before the Revolution of 1792. The Maryland Gazette, Annapolis, MD, 11 July 1816. As are Christmas Gifts one isn't amused with. The Sun, Chanute, Kansas, 24 December, 1896. Ultimately, no matter that 115 years have passed since the conclusion of the Victorian Era, some things remain the same. No matter the quantity of vintage newspaper articles I perused, it seems April Fool's Day in the Victorian-Era United States was tolerated much the same as it is currently. Kids have fun with it. Adults cringe. Any news (especially the sensational or the happy) is viewed with distrust. Just yesterday, I heard the story of a brand-new father who called the extended family members to announce the birth of their son (everyone knew the wife was about to deliver...) and no one believed him the child was actually born. Unfortunately the birth was 28 years ago when cell phones and digital images were futuristic flights of fancy. 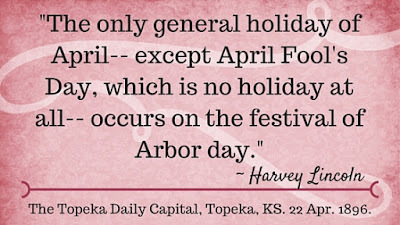 What is the most spectacular, or amusing, or embarrassing, or fantastic tale / prank / trick you've heard or seen in conjunction with April Fool's Day? 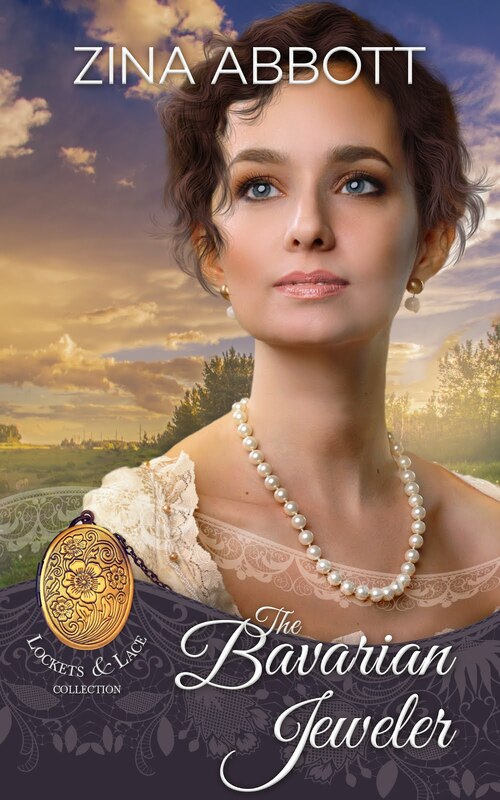 I write frequent articles (or view recent posts easily on my Home Page, scroll down to mid to lower) about the nineteenth century American west–every subject of possible interest to readers, amateur historians, authors…as all of these tidbits surfaced while researching for my books. 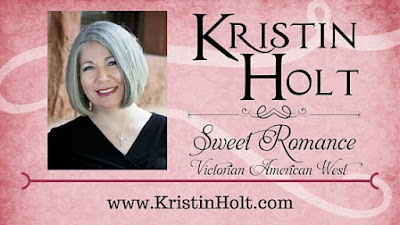 I also blog monthly at Sweet Americana Sweethearts (first Friday of each month) and Romancing the Genres (third Tuesday of each Month). I appreciate knowing these various descriptions of how the day came to be and of the famous pranks. Thank you! Glad to see you stopped by. Much appreciated.